The capital of Bangladesh, Dhaka, was ranked second worst city in the Air Quality Index (AQI) on Sunday. Dhaka had a score of 208 at 8:47pm this morning, indicating that the air quality was very unhealthy. Air quality between 201 and 300 is classified as 'very unhealthy'. If the score is between 301 and 500, it is classified as 'hazardous'. Mongolia's Ulaanbaatar was on the top of the table with a score of 235. Dhaka, one of the most densely populated cities in the world, has been grappling with air pollution for a long time. 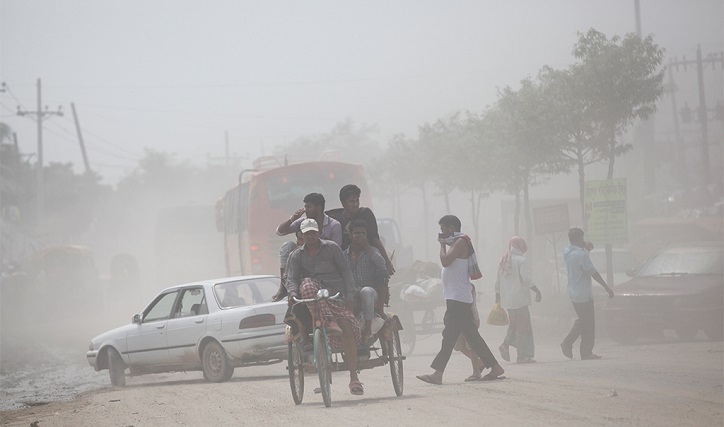 The air quality generally worsens during summer and shows signs of improvement in monsoon when the dust settles.